Scrrrrsh! The sound of footrest-on-tarmac contact makes me jump; it’s only the first corner, and the Yamaha SCR950’s Bridgestone Trail Wings aren’t even warm yet. 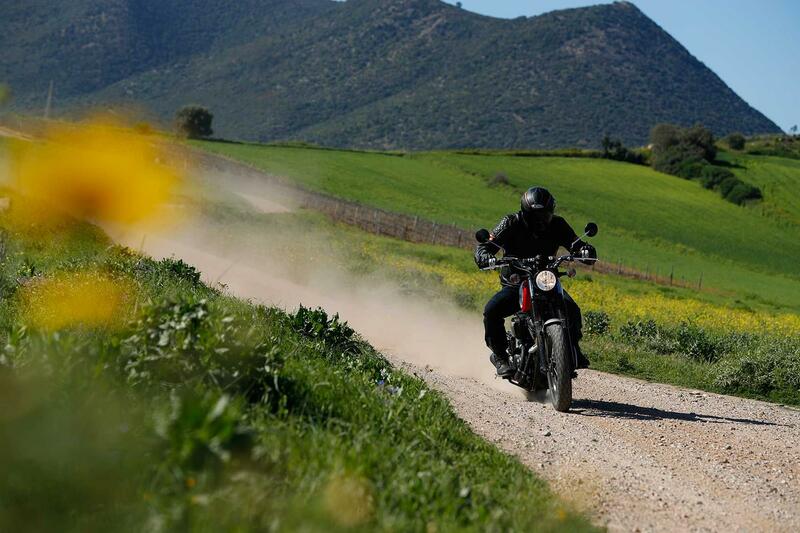 But we’re already grinding dusty grooves into the Sardinian coastal road on both sides, and the SCR is betraying its cruiser-based origins. 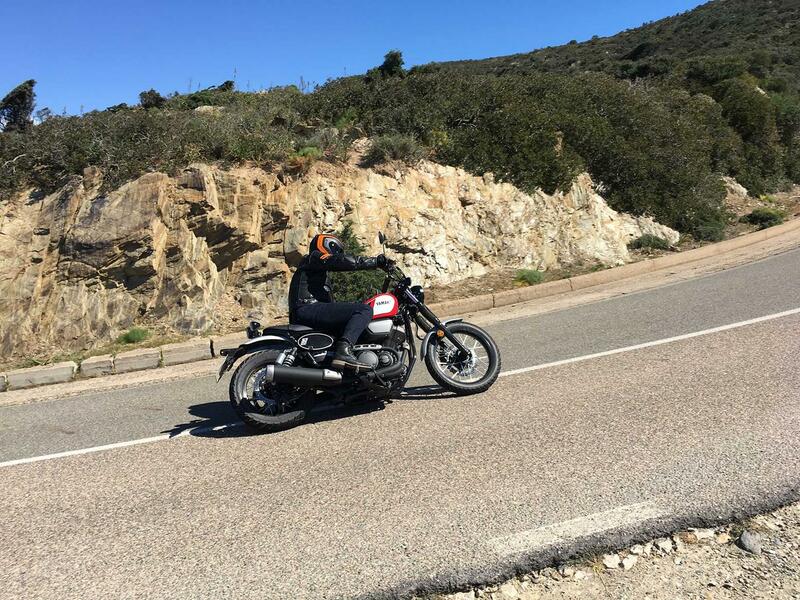 Because, right up front, it’s important to understand the SCR950 is coming at the street scrambler scene from a completely different perspective compared to bikes like the Ducati Desert Sled, Triumph Street Scrambler and BMW R NineT Scrambler. None of those machines use a chassis and engine borrowed from a cruiser; the SCR does. It has an identical steel tube frame, 41mm forks, short-travel twin rear shocks, single front disc and the same 942cc, 51bhp air-cooled 60° V-twin as the XV950, XV950R and XV950 Racer series. 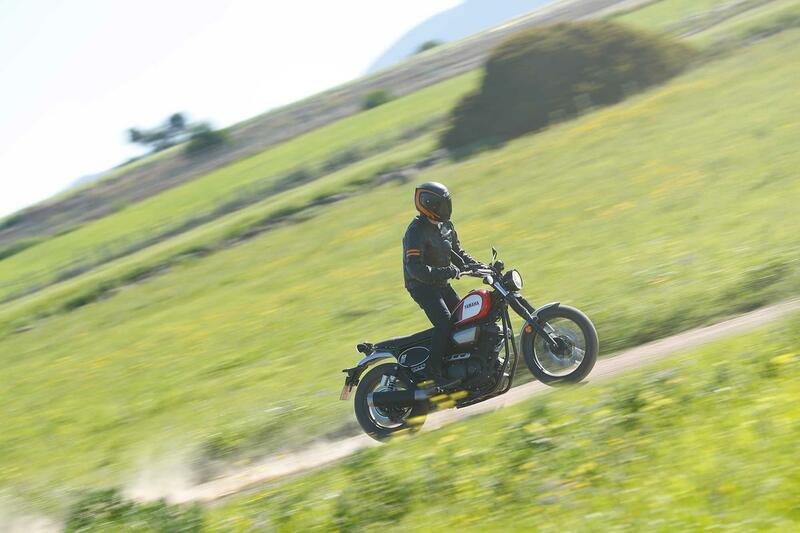 And despite the SCR’s limited chassis dynamics, the 950 is still an absolute gas to ride. The engine is such a pearl and the suspension so wayward that, when it’s pushed, it feels like it’s actually being ridden rather than simply responding to rider inputs in a cold, calculating way. And, as such, the SCR950 is an old-school, re-purposed cruiser; a throwback to simpler times when all you needed to go off-road was a Steve McQueen stare and the will to do it, rather than a flagship techno-marvel that could win the Dakar. 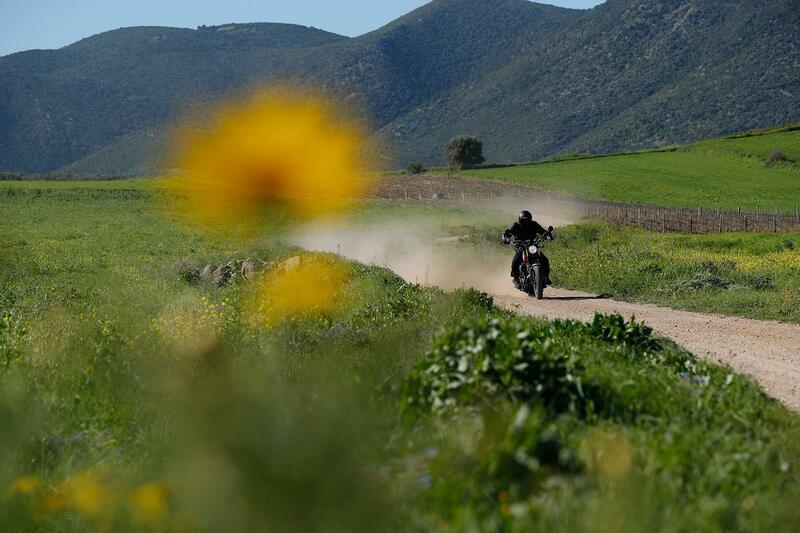 And if that’s your thing, you’ll love the SCR950. To give the SCR package a scrambler’s looks, a new rear subframe lifts the 950’s flat seat height to a more conventional 830mm over the XV’s laid-low 690mm, and new bars and pegs straighten up the SCR’s riding position into what is a comfy, natural, uncomplicated stance. 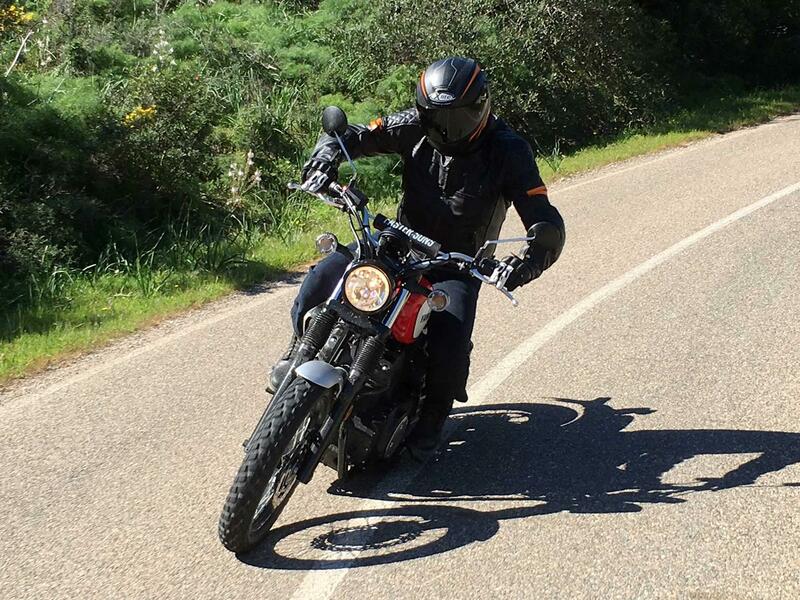 Wire-spokes on aluminium rims (with aforementioned Bridgestone Trail Wing tyres), a slim 13-litre fuel tank, steel mudguards and number boards on the side panels complete the SCR950’s scrambler image. 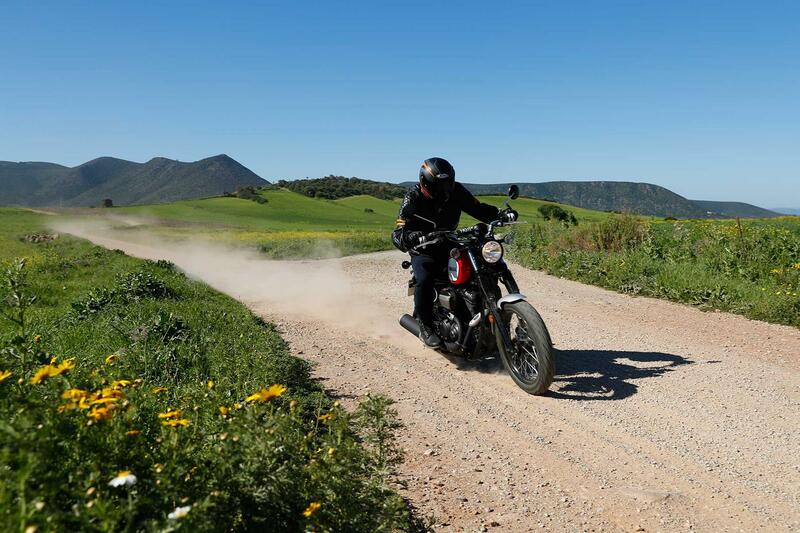 But after 80 or so miles of thumping, thudding, clonking and scraping Yamaha’s new street scrambler along a mixture of twisting Mediterranean roads and loose gravel trails, two things are crystal clear: firstly, Yamaha couldn’t build a dull bike if they tried and, secondly, the SCR950 is a pretty basic machine. The 950’s single front disc, pointlessly wavy, doesn’t have the bite or power of most modern set-ups and it takes a few miles to recalibrate my riding style to suit, with a couple of wide-eyed panic moments. The rear disc, on the other foot, is plenty fierce. ABS is the SCR’s saving grace – it’s not a refined system, but at least it prevents disaster when the suspension gives up under braking. Which it does, because the SCR’s springs are also rudimentary. With limited travel, springing and damping, it only takes a few potholes – on road or off – to bottom the bike with a jarring jolt. This is not a sophisticated set-up. 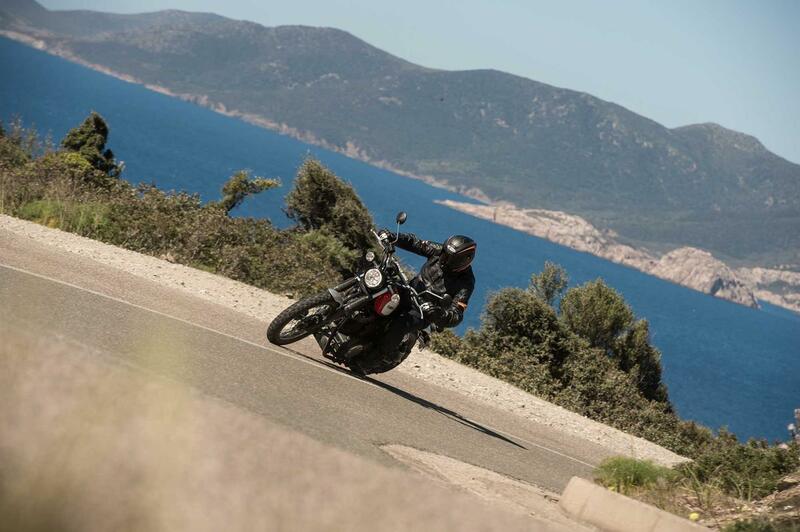 However the SCR is agile – steering is exceptionally light and the bike flicks easily from side to side. Steering lock, however, is limited – meaning lots of paddling of feet in car parks, which then means lots of bruised shins as they come into contact with the wide footrests. It’s rare to come across an engine that completely overwhelms its chassis these days, let alone when it’s only making 51bhp and turns out more peak torque (59ft-lb) than ponies but the SCR manages it. 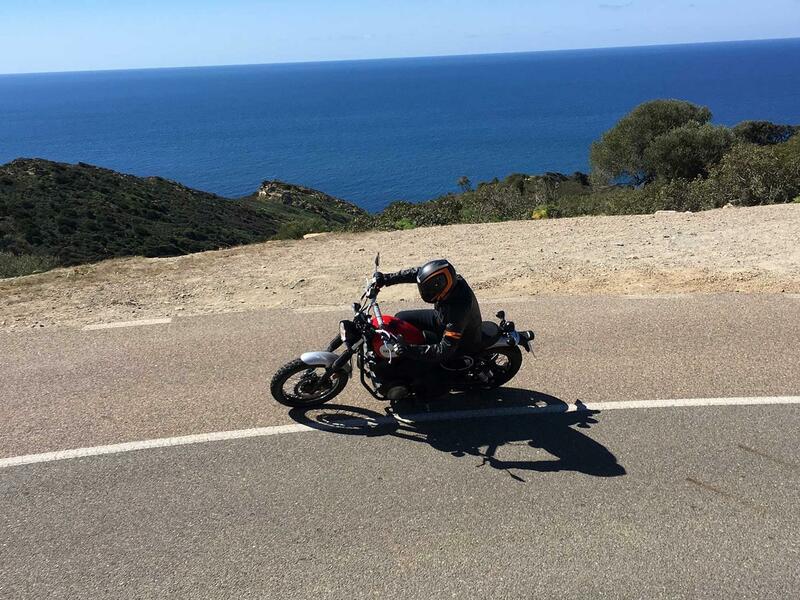 The bike's motor is a funky, fun, unintimidating and civilised unit, tramping on smoothly and cleanly from low revs (no tacho), and laying down a steady stream of acceleration through its belt final drive all the way from first to fifth (where the belt generates a distinctive whine over 60mph). This is a perky, thrashable, good-natured engine. When was the last time Yamaha built a motor that wasn’t? 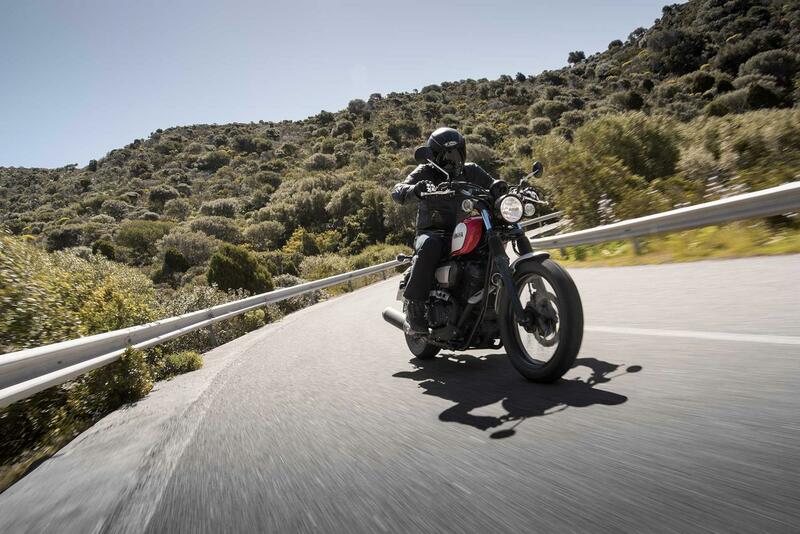 Build quality is variable – the fuel tank is seam-free, without the unsightly join along its lower edge, but the clutch and brake levers are about as cheap as they come. 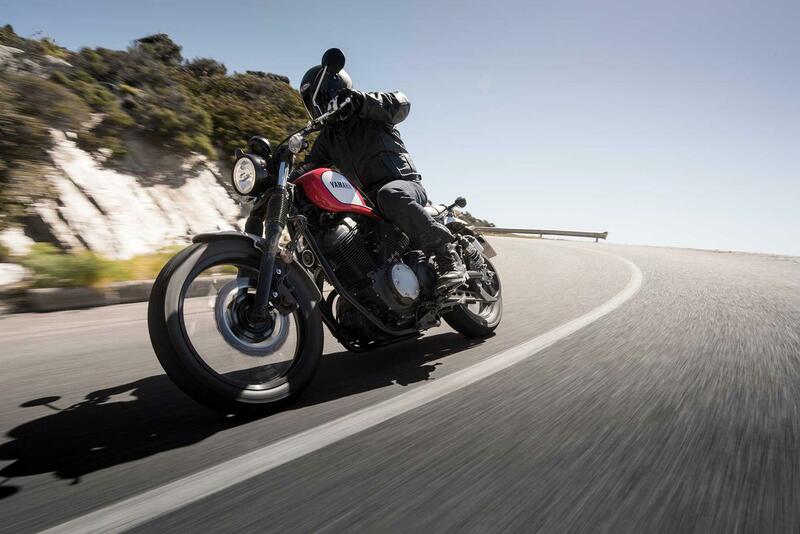 The air-cooled V-twin engine is the same as the one used in the Yamaha XV950 and is a tried and tested lump. 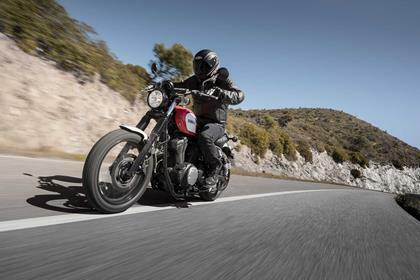 The Yamaha SCR950 was launched at a price of £8499. 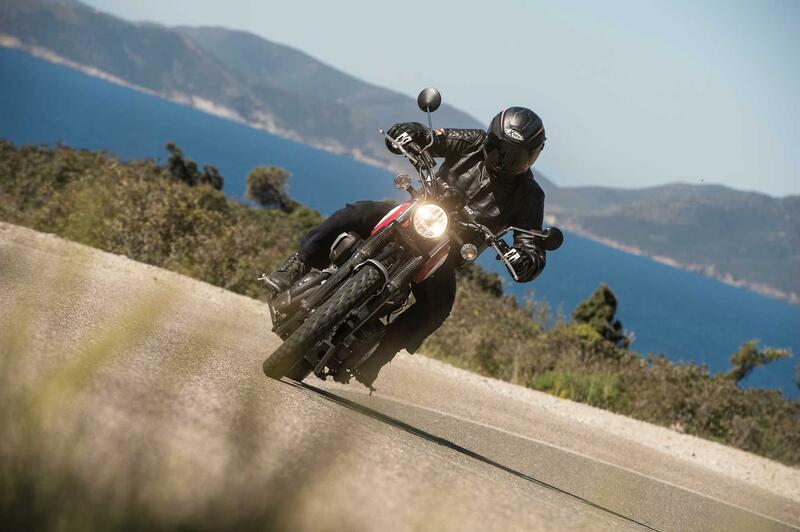 This puts it perilously close to rivals like the Triumph Street Scrambler (£9000) and Ducati Scrambler 800 (£9095), which are far superior machines. 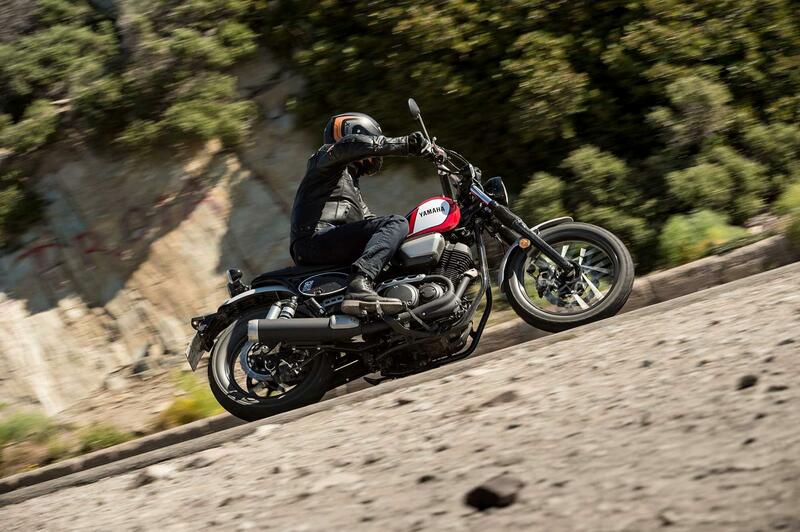 Only the BMW R nineT Scrambler costs significantly more at £10,765. The only saving grace for the Yamaha is that ultra-low-mileage used examples can be found from around £6000. 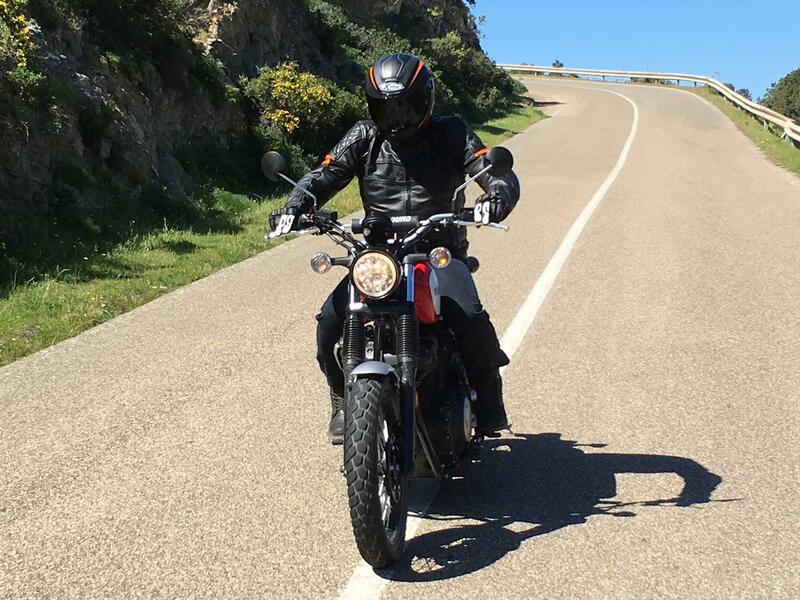 In terms of equipment, the SCR950 is sparse – a single clock with digital speed, no tacho, a couple of trip meters and a clock, and that’s your lot. But Yamaha have plenty of accessories with which to customise the SCR – an ally bash plate tidies the front profile of the bike up and, if you’re thinking of scrambling, is worth adding for protection. The optional off-road serrated footrests are good too – and kinder to shins. 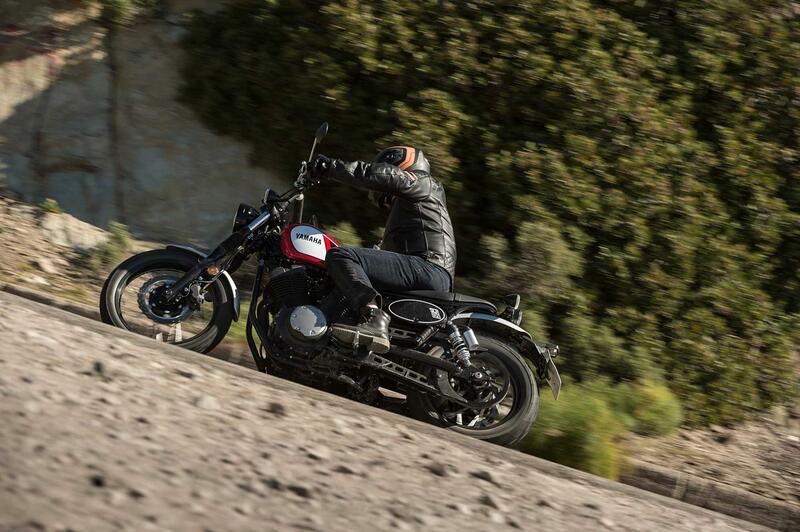 The SCR950 uses the frame, forks, rear shocks, single front disc and engine as the XV950, XV950R and XV950 Racer series. 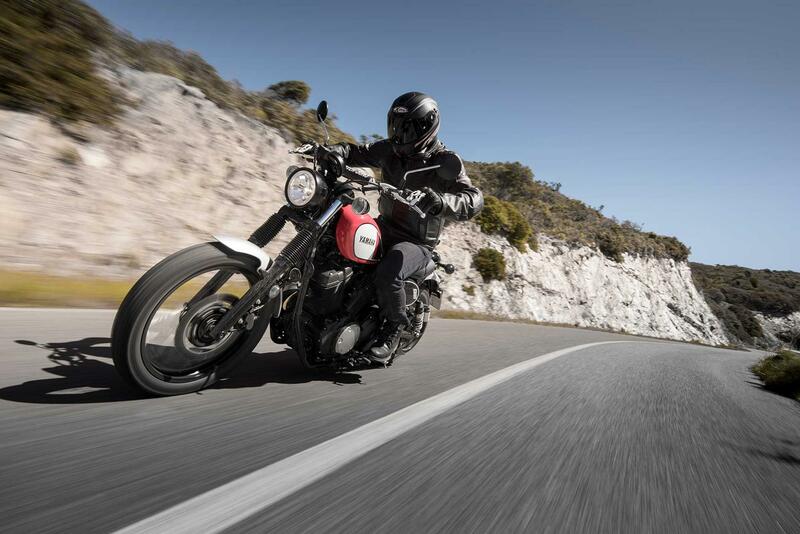 No owners have yet reviewed the YAMAHA SCR950 (2017-on).